I know that I just posted about my obsession with cobalt nail polish, but I couldn’t let fall roll up without bragging about my staple fall color. If I’m being honest, it was hard to choose which polish to brag about because I own pretty much this exact shade in so many different brands. I chose to show off this Nicōle by OPI polish in the shade Feeling Very Cherry. I got this polish at Walmart $5.97. It has a fantastic pigment and shine to it. Two coats and you are good to go! I rarely have problems with this polish chipping. As far as fall goes, this shade couldn’t get more fall even if it wanted to. It is a beautiful deep wine red, and it pairs well with a vampy red lip! I always find myself falling back on this shade. 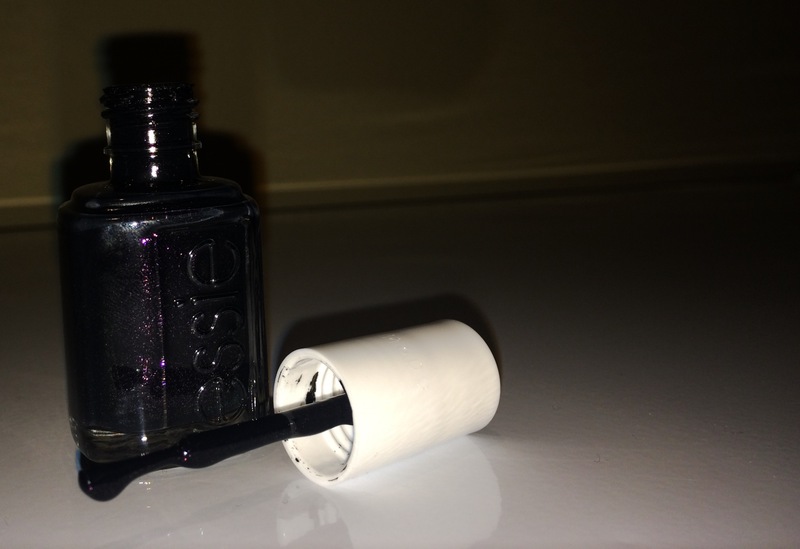 It’s very similar to Essie’s Wicked. This is a great shade to rock through the fall and into the winter. Fall is all about deep, rich, bold colors and this polish falls nothing short of that. So get out there and rock your fabulous deep red nails as soon as October hits! Trust me, it’s a beauty move you won’t regret! While I am excited about fall quickly approaching, part of me is still clinging onto the last bits of summer, and by part of me I mean my nails. I’m the type of girl who always has to have my nails polished, and I am always on the hunt for a new color. 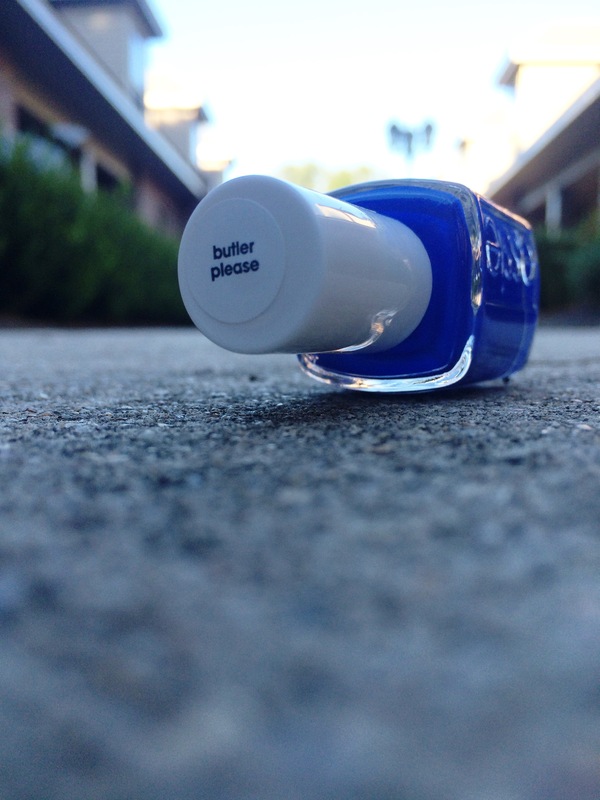 Bold cobalt blues were hot this summer and I was on a mission to find the perfect polish. 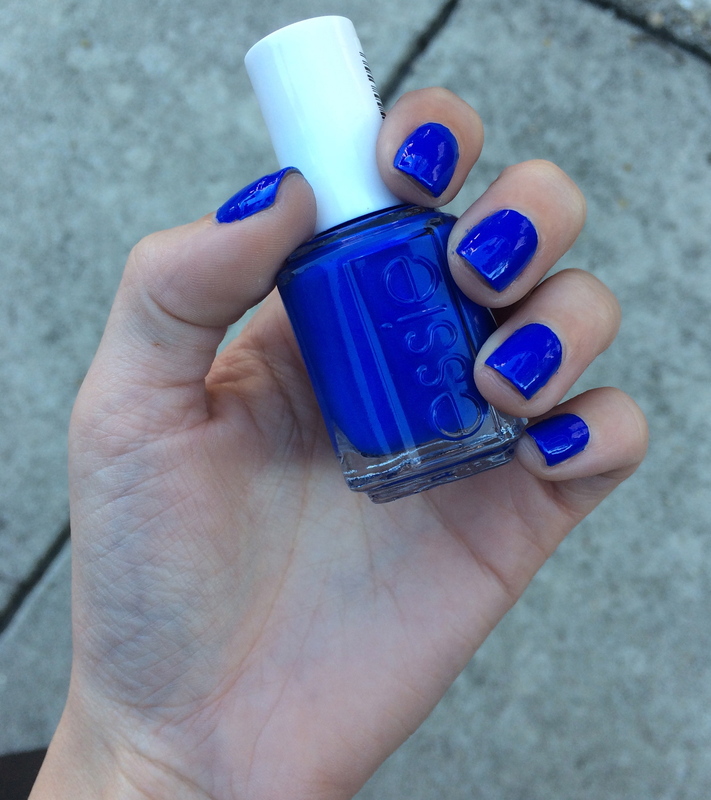 I have always been a big fan of Essie nail polishes, and this summer I came across a beautiful cobalt blue and I fell in love. My nails were this color most of the summer, which is big for me considering black is my usual go to color. The polish is called Butler Please and I got mine at Walmart for $8.47. This may seem like a lot for a nail polish, especially when you’re shopping at Walmart but it is one hundred percent worth it! Think of it this way, you probably pay at least $10 every time you get your nails done so just by painting your nails once you already have your money’s worth! Essie is also worth the few extra dollars over a brand like Pure Ice because the formula in general is better. The pigment is bold and the polish is long lasting. I find that this color can lean a little toward the dull side so I always use a top coat just to add that extra shine. Essie has a wide variety of colors to choose from, so go out and find your perfect polish today! And just between us, fall color or not I’ll probably be rocking my fabulous cobalt blue nails all through October.